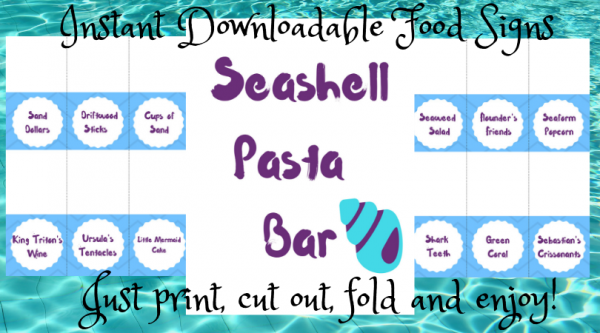 15 Little Mermaid Food signs to display with your party food at your Little Mermaid Birthday Party, plus four blank signs to add your own menu ideas. 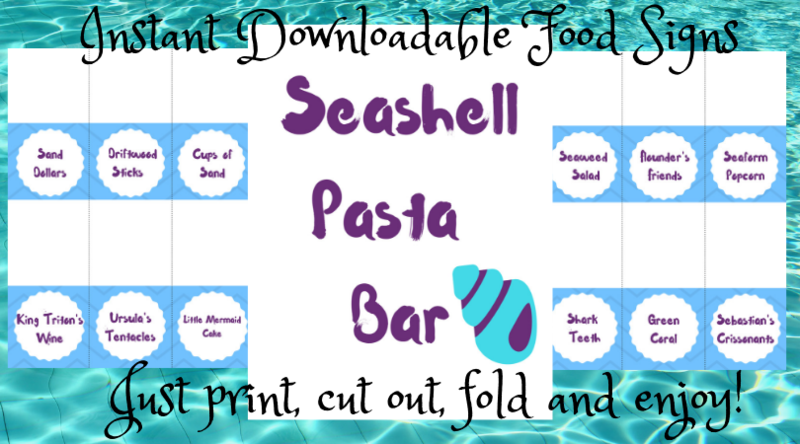 Instantly downloadable upon purchase. You must print and cut out the signs on your own. Dotted lines included for easy cutting.